Sunday night’s Ottawa Senators/Edmonton Oilers game proved to be an emotional one. 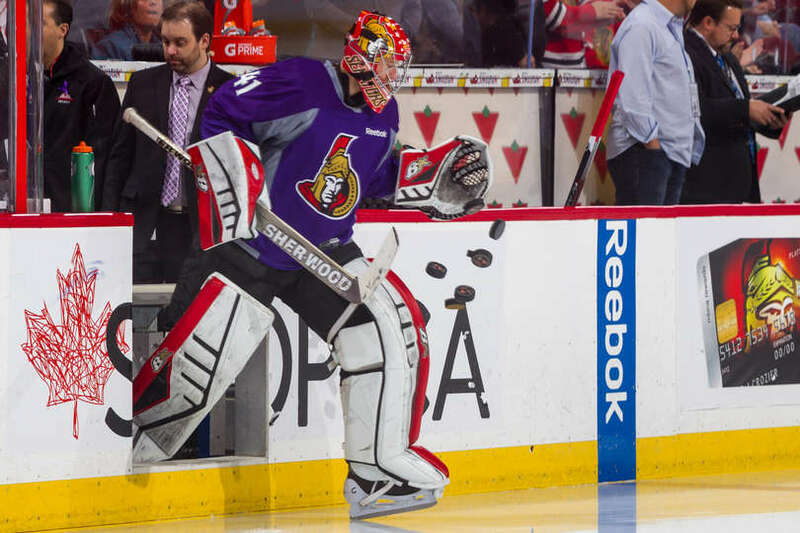 Last week, Senators Goalie Craig Anderson announced he would be taking personal leave. Just a day later, his backup, Andrew Hammond suffered an injury though, leaving the Senators without an experienced tender between the pipes. It was then the reason for Anderson’s leave came public. His wife, Nicholle, had been diagnosed with cancer and he left to be with her. However, with his team in need, it was Nicholle who urged Anderson to rejoin. “Craig, you’re teammates need you right now,” she told him. After consulting with Doctors, as well as the Senators, it was determined that Craig would rejoin the team. And he did so in grand fashion, making 37 saves in a shutout victory in Edmonton that saw his earn the games first star. Edmonton let them know that they are not fighting this alone. We are all with them and wish Nicholle the absolute best in her fight and recovery!